Overlooking the western Costa Rican shoreline is Alturas Wildlife Sanctuary, a sanctuary providing veterinary care and accommodation to the injured, sick and orphaned wildlife of Costa Rica. Here we meet Cassius, the Tamanduas anteater. 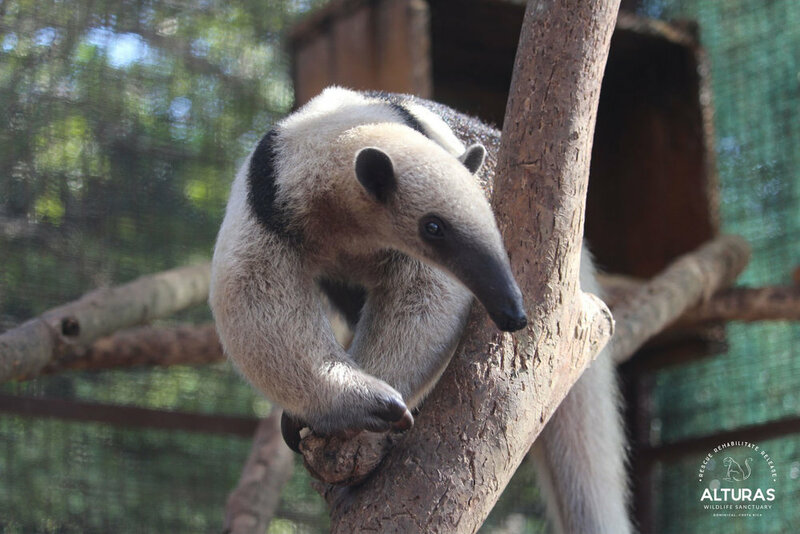 The Tamanduas anteater are common to Latin America and live in the treetops of forests and grasslands. The animals are nocturnal and are uncomfortable on the ground, walking on the sides of their forefeet due to their sharp claws. Cassius had one day wandered onto a highway on the ground and was traumatically hit by a car. Left to die on the side of the street, Cassius was rescued and brought to the Alturas Wildlife Sanctuary. At the sanctuary, Cassius was quickly treated by Dr. Kathy Wander and the Alturas Wildlife Team. His broken femur required surgery, with Dr. Wander using an Arbutus Medical DrillCover system to place an external-fixation device. 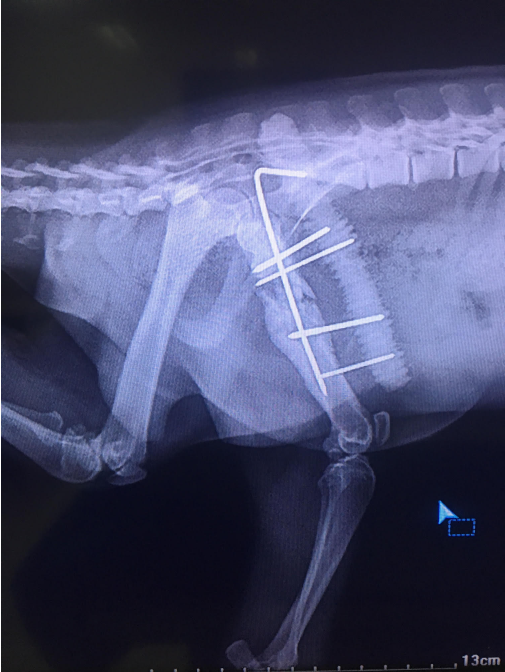 This device consists of pins and screws placed into the bone and attached to a metal frame outside of the body. It stabilizes and aligns the broken bones during the healing process. 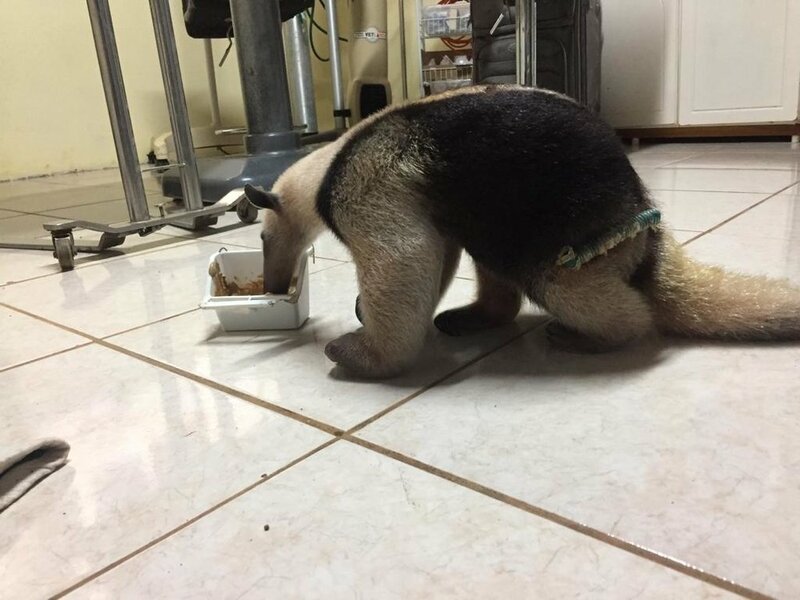 Once Cassius's femur had healed and the external-fixation device was removed, this lucky Tamanduas anteater was released back into the wild and will hopefully never encounter a highway again. The Alturas Wildlife Sanctuary is still in need of a SawCover System, a sterile and battery-powered saw solution, allowing Dr. Wander and her team a greater chance at more success stories, like Cassius’s. If you are interested in donating a kit, please contact us at: donate@arbutusmedical.ca. 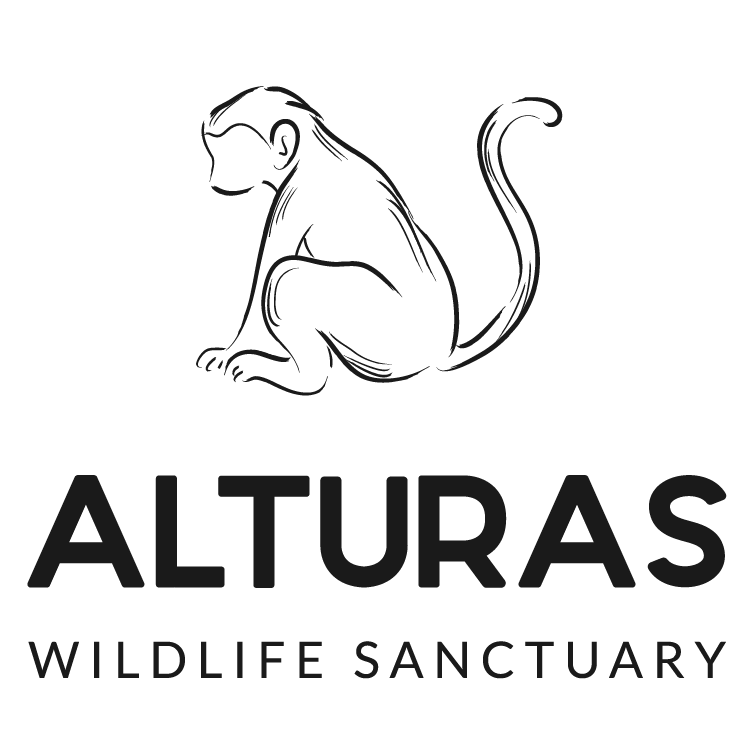 Alturas Wildlife Sanctuary is a non-profit organization dedicated to the rescue, rehabilitation and release of injured, sick and orphaned wildlife here in Costa Rica. Their ultimate objective is to assist in the recovery and release of native wildlife, the sanctuary also provides lifetime accommodation and care to animals that cannot be released. The sanctuary serves as an educational center for local and international visitors and strives to improve human-wildlife co-existence and protect the diverse wildlife in Costa Rica and abroad.